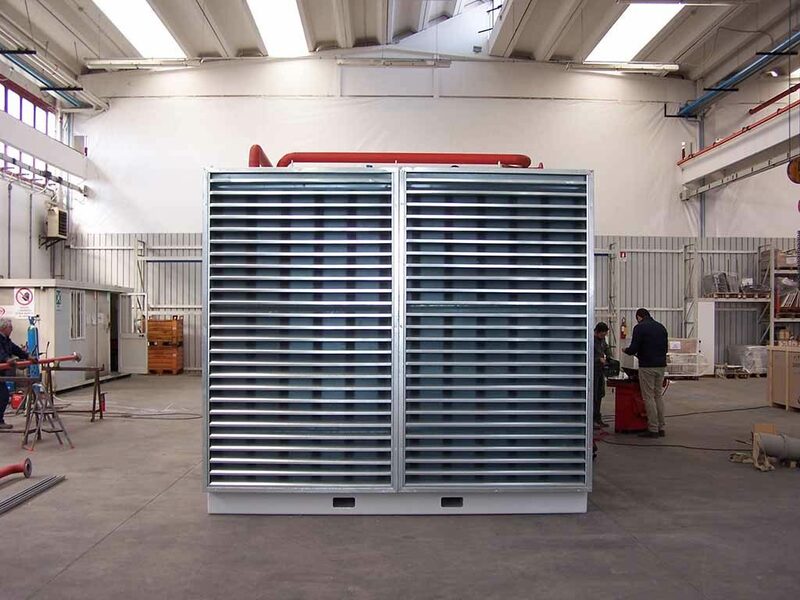 Used for several years in the United States for the design of heating and air conditioning systems at the end of the 1980s, it has been developed and codified in the field of fire engineering, for the inspection of premises protected with extinguishing systems saturation of gas. The Door Fan Test test protocol was officially formalized in the 1989 edition of the standard: NFPA 12A: “Halon 1301 Fire Extinguishing Systems“. 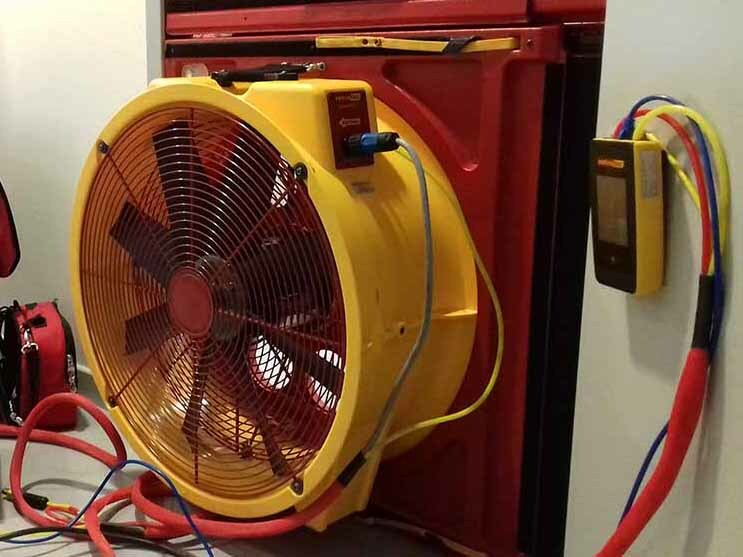 The DOOR FAN TEST is a procedure for analyzing and verifying the properties of a room, that is to say, of its ability to prevent the presence of a pressure gradient between the interior and the outside creating an airflow through the walls creating different. 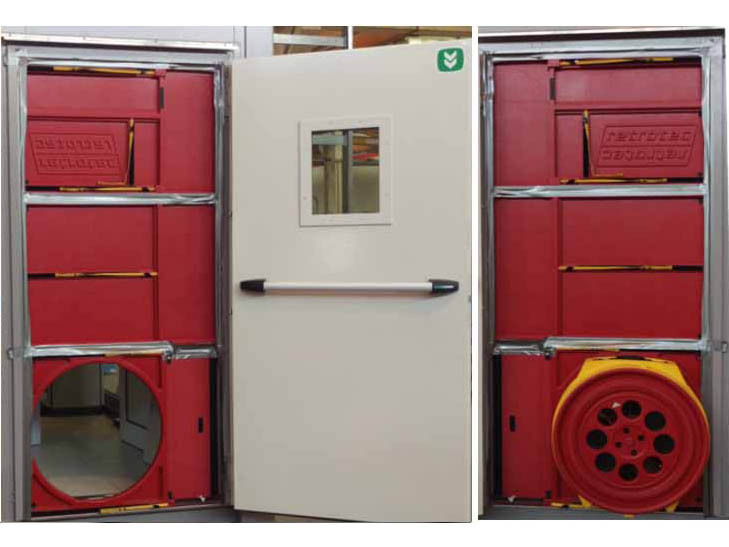 The Door Fan Test provides a method for assessing the magnitude of local leakage and its ability to retain gas within a Total Flooding Discharge System. It also allows for systematic research and detection of the leak areas on the surfaces that delimit the locale. 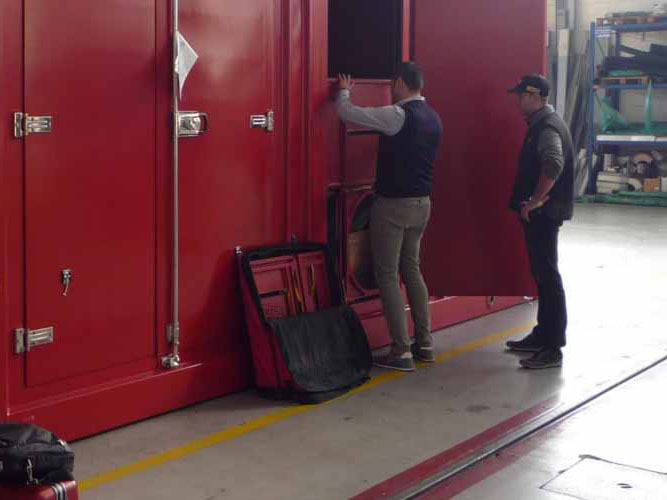 The execution of the Door Fan Test before the project predisposition, therefore allows verification of the feasibility of a gas-saturation protection system within the volume to be protected, while also allowing to assess the technical and economic convenience of alternative solutions. 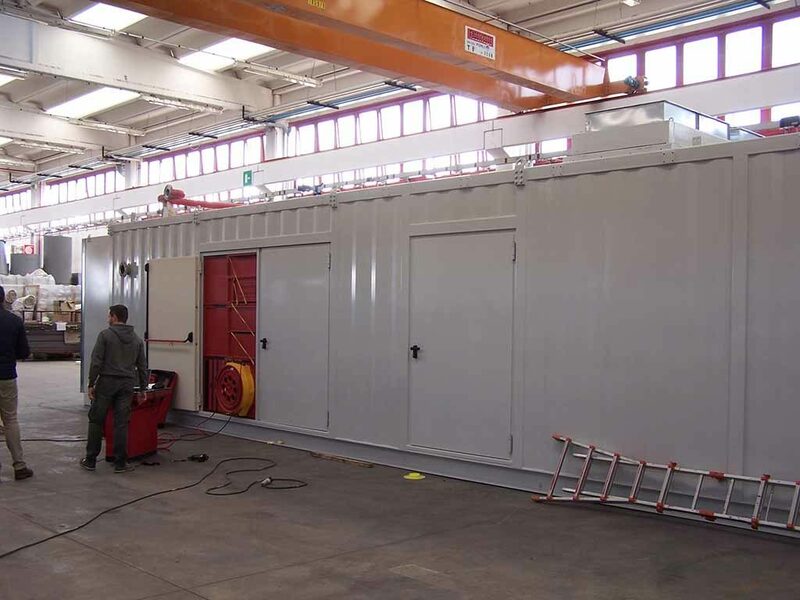 It also provides at the design information necessary for the determination of any factors Project or maintenance discharges, also in relation to the dangers associated with the presence of people in the protected rooms. In the following, we will describe what are the aspects that most affect the protected volume of sealing characteristics, making from time to time refer to local real cases object of Door Fan Test. MEASURE: It measures the injected / extracted air flow entities in / from the local to generate inside a given value for the overpressure / depression. CALCULATION: From the measured values we can calculate the equivalent leakage area (ELA: Equivalent Leakage Area), ie the total area of all leaks, cracks, joints and porous surfaces that allow leakage from the local subdivision surfaces in question. PREDICTION: Knowing the value of Equivalent Leakage Area you can perform a valuation of the gas retention time in the room. Let’s now look at the Door Fan Test procedure in detail to understand what principles it is based on. The procedure followed in the execution of a Test involves entering a stream of air into the room to Pressurize it to the overpressure value that would be determined by a real discharge of extinguishing agent inside it. The measurement of the input air flow gives an indication of the leakage (ie of the flow of air coming out). Indeed, under equilibrium conditions, it results in the unit of time: incoming air volume = outgoing air volume. In carrying out the tests described, the leak is searched through the use of chemical smoke. 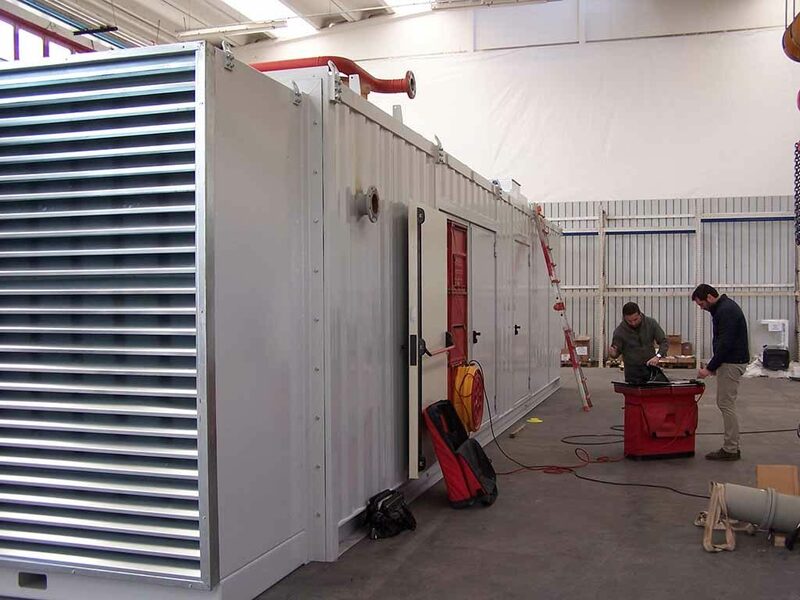 couplings between perimeter panels, etc …). The execution of the DFT before the project predisposition, therefore allows verification of the feasibility of a gas-saturation protection system within the volume to be protected, while also allowing to assess the technical and economic convenience of alternative solutions. It also provides at the design information necessary for the determination of any factors Project or maintenance discharges, also in relation to the dangers associated with the presence of people in the protected rooms. 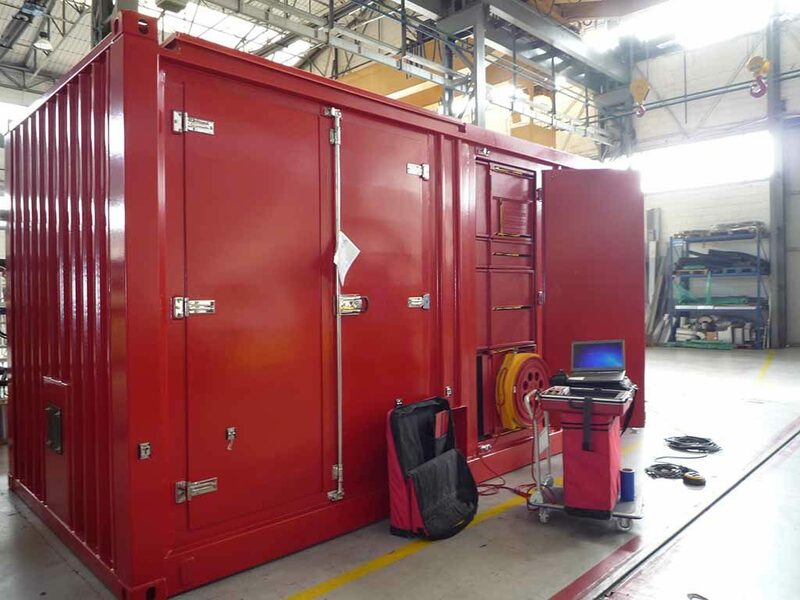 In the following, we will describe what are the aspects that most affect the protected volume of sealing characteristics, making from time to time refer to local real cases object of Door Fan Test.